School is not for everyone, but education is. There is your takeaway line to use on social media. 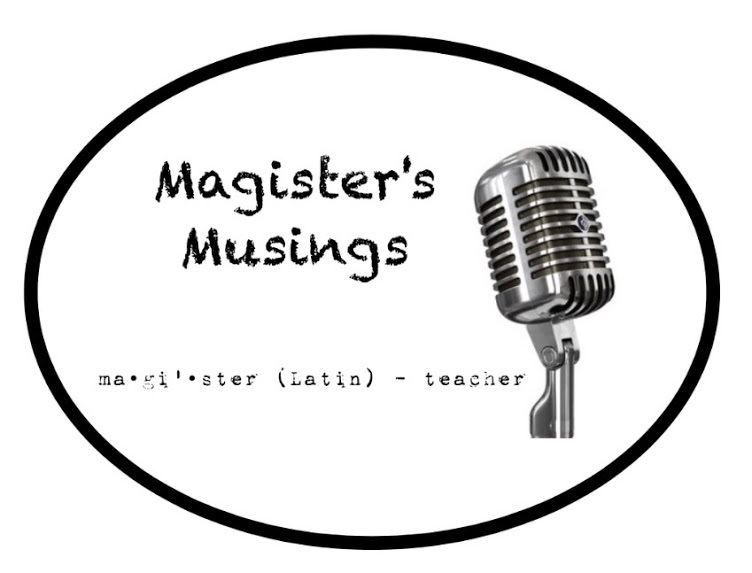 A colleague recently asked for my help in translating the Latin expression at the beginning of Silence Dogood's fourth letter, which she was using with her English class. If the name Silence Dogood sounds odd, it was the pseudonym Benjamin Franklin used to publish a series of letters that exposed the follies and absurdities of contemporary New England life, and in the fourth letter, published May 14, 1722, he took aim at schooling. [A]s I pass’d along, all Places resounded with the Fame of the Temple of Learning: Every Peasant, who had wherewithal, was preparing to send one of his Children at least to this famous Place; and in this Case most of them consulted their own Purses instead of their Childrens Capacities: So that I observed, a great many, yea, the most part of those who were travelling thither, were little better than Dunces and Blockheads. Alas! alas! I reflected in my Mind on the extream Folly of those Parents, who, blind to their Childrens Dulness, and insensible of the Solidity of their Skulls, because they think their Purses can afford it, will needs send them to the Temple of Learning, where, for want of a suitable Genius, they learn little more than how to carry themselves handsomely, and enter a Room genteely, (which might as well be acquir’d at a Dancing-School,) and from whence they return, after Abundance of Trouble and Charge, as great Blockheads as ever, only more proud and self-conceited. That is rather strong stuff for our modern sensibilities that are so easily offended, yet he is right, and nothing much has changed in nearly three hundred years. School is no more suited for everyone than is the varsity football team or the concert orchestra, but because we have made of the diploma and the degree objects of worship, Franklin was correct in labeling the school a "Temple of Learning," and no parents want their children left in the outer darkness where there is much weeping and gnashing of teeth. What matters most, of course, and what people truly want is education, and education is attainable by any who want it from the company of those who know, and this need not always occur within a school. In fact, because the minimum requirements are the desire to learn and a source of knowledge, education can be gained by a solitary person surrounded by the best minds of humanity as they have expressed themselves in books, and indeed this has been the way many have acquired their education across the centuries. I would argue that the experience is better and more delightful and the resulting education deeper and richer when it takes place in a community of learners, but even this does not necessarily mean a school. 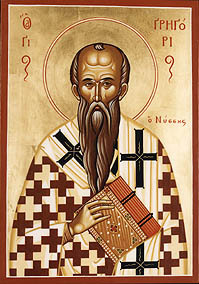 Take, for example, an observation by one of the fourth century Cappadocian church fathers, Gregory of Nyssa. He notes that at that time, everyone was discussing matters of the deepest philosophy and theology everywhere. To be fair, Gregory does not think terribly highly of this, but consider for a moment what he has described. Normal people are discussing some pretty heady stuff in the midst of everyday life. Yes, they had to have heard of such ideas somewhere, and that somewhere would have been the church, but these were not scholars at the academy. They were regular, likely unschooled, folks. The point is this. Education is vital, for it equips a person to lead the richest possible life. Certain topics, or certain levels within such topics, are best approached in a formal training environment like a school. Yet not everything of value needs to be learned there nor is always learned best there. Poetry, philosophy, theology, history, art, music, and the wonder of the sciences and mathematics, can be experienced and explored in other communities, even if that community is comprised of one living person and a great cloud of witnesses from across time in the pages of books. While we would be, rightly, loath to call students today dunces and blockheads, we would do well to help our children find the environment where they can best attain a true education, recognizing that it may not be in a school. This post is for me, although I hope others will read it as well. It is for me because I want to chronicle one of the most wonderful events in my nearly three-decade career and it is for me because it will be filled with the names and personal stories I look forward to re-reading and remembering long after I have left my classroom for the final time. If you do choose to read this, or even to skim over it, I think you will be amazed and inspired by what students can do and what education can look like when what matters most still matters. In the spring of 1987, my Latin teacher Marcene (Holverson) Farley made me aware of scholarship opportunities from the Indiana Junior Classical League. One of the applications required an essay based on a favorite Latin quotation, so I picked one by an author I had studied as a junior the previous year under Alice (Ranck) Hettle. "Ceteros pudeat si qui ita se litteris abdiderunt ut nihil ex eis possint neque ad communem adferre fructum neque in aspectum lucemque proferre." (Pro Archia, 12) "Let others be ashamed if they have so hidden themselves in literature that they can offer nothing from it for the common good or can bring forth nothing into the light to be seen." That line had stayed with me and came to mind again more than twenty years later when, as I was driving to school one morning in 2009, I had an idea. I had read once about a group of college students reading Homer's Iliad aloud in Greek and getting pledges as a fundraiser. Cicero's quotation and that article came rushing through my mind like two pieces of uranium-235 at Los Alamos, and the result was a powerful new idea. What if high school students read aloud one of the Greco-Roman epic poems to raise money in an effort to fight poverty? Details quickly came together, and a student named Brent Eickhoff introduced me to Shirley Mullin, owner of Kids Ink Bookstore at 5619 North Illinois Street in Indianapolis. She agreed to host our event and dedicated space in her front window where the students could sit to read. Zoe (Smith) Crafton, another student, designed a logo for us that we used on t-shirts for the readers and on a banner to advertise what we called Reading The War On Poverty, or RTWOP. That first year saw Latin students from North Central High School reading aloud the entirety of Homer's Iliad in English translation. With the money they raised and a donation from the bookstore from that day's sales, we were able to give more than $1000 to Shepherd Community Center, whose mission is to help break the cycle of poverty in Indianapolis. The event was so successful that we wanted to do it again, and Shirley and her staff at Kids Ink were pleased to help. The following year our Latin students read Homer's Odyssey, the year after that Vergil's Aeneid, and the fourth year started the cycle over with the Iliad. Each year saw them raise more than $1000 for Shepherd, and RTWOP quickly became a flagship event in our Latin program. That last feature was by far the most ambitious, so we started a GoFundMe campaign to help. Within minutes of launching it, we started receiving donations, and as the 2017-2018 school year progressed, we dared to hope we might actually reach our goal. The next most ambitious part of RTWOP 10 was producing a commemorative edition of the Aeneid. There are many editions available, but I wanted something special, something personal for the readers, and the only way to get that was to produce it myself. I used a version that was in the public domain and formatted the text throughout the summer and fall of 2017 and the winter of 2018. For the front cover I used a t-shirt design created by one of my students, Alexandria Ruschman, and included Zoe Crafton's original logo on the back along with our logo for North Central Latin, which had been designed years ago by my sister-in-law, Melanee (Stillions) Habig. My son, Austin, helped with the cover design, and I added a preface that concluded, "I could say regarding my pride in all my students what Jupiter said in Aeneid I.278 of the achievements that would come from the Romans, 'His ego nec metas rerum nec tempora pono.' I set neither limit nor time to it." Far less daunting was assembling the readers. RTWOP has become a much-anticipated event in our classes, and the reading times always fill up quickly. I had established an alumni group on Facebook and through it was able to invite former students. Twelve alumni eagerly signed up, and the remaining spots were filled with first- through fifth-year students. A small army of fifty-nine readers would read in fifteen minute shifts for four hours on a Friday evening and eleven more on Saturday. From the money they would raise, along with the GoFundMe contributions and a donation from Kids Ink, we hoped to reach our $10K goal. One of my stock lines in class is, "But wait! There's more!" and indeed there was. Shirley at Kids Ink reached out to her business neighbors up and down Illinois Street, and many of them decided to help as well. Secret Ingredient, The Flying Cupcake, Byrne's Pizza, Be The Boutique, Petite G Jewelers, Kincaid's Meat Market, and Illinois Street Food Emporium all joined Kids Ink in supporting RTWOP in a variety of ways. And then there was the social media campaign. For a full year there were Facebook and Instagram posts and tweets promoting what we were doing, and there were two, true highlights, but to understand why they were so special, you need to know something about me. In the words of Joan Jett, "I love rock 'n' roll!" In fact, I publish a blog called The Roman Rocker. Classic rock, hard rock, and metal are what I love, so I was beyond thrilled when Michael Sweet, the lead singer of Stryper, tweeted about the project to nearly 76k followers and David Coverdale of Whitesnake, who has 218k followers, liked one of our tweets. When the weekend finally arrived for RTWOP 10, the students and I were quite excited. The weather was beautiful, and blue sky, white clouds, and temperatures in the 70s guaranteed a lot of people would be out in the delightful neighborhood of Illinois Street. From 4:00-8:00 p.m. on Friday, April 27, and from 9:00 a.m.-8:00 p.m. on Saturday, April 28, current Latin students and alumni read the Aeneid aloud in Latin. That ancient language was heard along Illinois Street as it was broadcast through our speaker, and people took notice. Many customers came in, eager to learn more about the event, and almost all gave a donation. When all was said and done, these Latin students and alumni had helped raise more than $12K for Shepherd Community Center, garnering the attention of the Indianapolis ABC affiliate, RTV6 as well. Pride, joy, overwhelming satisfaction in the achievement of students...these come nowhere to close to describing how I felt and continue to feel. Can you even imagine what it was like to see students using their learning to benefit others this way? You can gain some sense of it from the pictures and videos that follow, but before I include those, I want to say a word about the alumni and others who dropped by. In addition to my twelve former students who read, including three who had read in the inaugural event ten years before, other alumni stopped in just to say hi and to support what was going on. With all of them it was a thrill beyond words to hear stories about what they had studied after high school, where they were working, and developments in their families. Two of my former students had married each other, and two others are dating. One is currently a Classical Studies major at my alma mater Indiana University. She hopes to be the first woman to translate the Iliad, Odyssey, and Aeneid into English. And one young man was excited to tell me he had achieved his dream of joining his father as a firefighter with the Indianapolis Fire Department. Along with these were Indiana Senior Classical League advisor Tony Martin, co-chair of the Indiana Junior Classical League Lisanne Pierson, and Latin teachers Kelly Williams-Ihlendorf of Bishop Chatard High School, Matt Hilton of Chatard, and Melissa Perkins of The Master's Study. Their presence during the event along with messages of support from Jeremy Walker, IJCL co-chair, and many others meant all the world. If you have read this far, you know two things. You know both what amazing things students can do and are doing to use their education for the betterment of others and how incredibly proud I am of all of them. Now treat yourself to some pictures and video from this amazing event, including the presentation of what we raised to the folks at Shepherd Community Center. Brooke was of the readers in the first RTWOP and again in RTWOP 10. She is in her fourth year of veterinary school at Purdue University. Brenda (left) studied film making and is making a documentary of RTWOP 10. Sara (right) is an instructional aide at one of our elementary schools. Serenity (left) is currently studying at Butler University. Rachel is graduating from IUPUI with a degree in medical humanities. Eliot (left) is studying aquatic biology at Ball State University. Hannah (right) is majoring in Classical Studies at Indiana University and hopes to be the first woman to translate all three Greek and Latin epics. Ian (left) stopped by to support his former Latin Club, and we had fun reminiscing about a video he had made when he was a senior. Greg (right) was one of early Latin students at North Central. His inquisitive mind had him asking me many questions ranging from German to the ancient city of Tyre! Jay and Lauren (Hill) left Latin, got married, and are now an engineer and science teacher. Morgan (right) studied biology and came by to support her alma mater. Ginny and Alex (left) are studying computers, and Ted (right) just achieved his dream of becoming a firefighter with the Indianapolis Fire Department. Shanice wants to be an elementary teacher, and Brandon studied music education at Howard University. 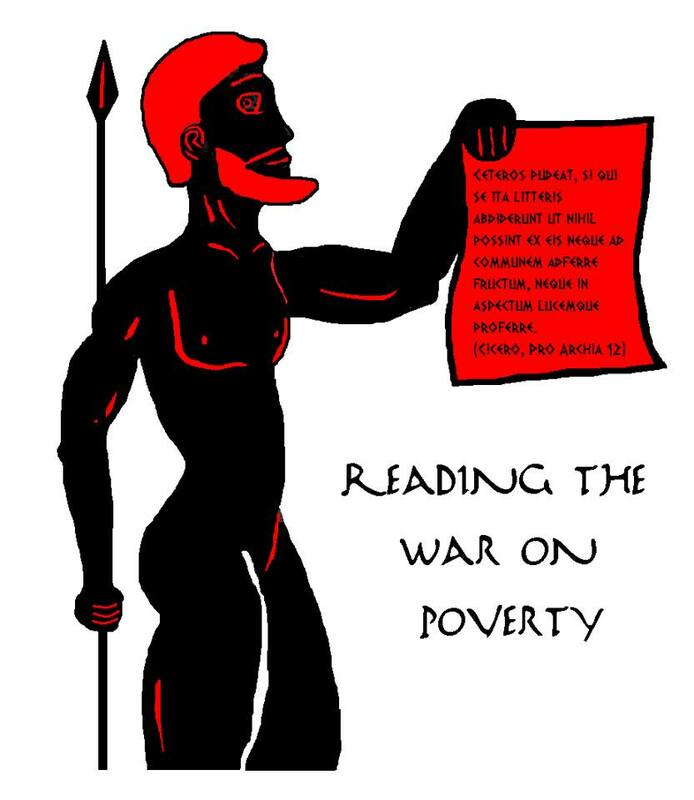 They were among the original readers ten years ago, and Brandon even recreated the picture that has become the symbol of Reading The War On Poverty for a decade. Special note: Nathan used to visit this bookstore when he was a boy and put his hand print on the wall when he was 5. Matt Hilton and Tony Martin (left) are the Latin teacher at Bishop Chatard High School and the Indiana Senior Classical League Advisor. Shirley Mullin (right) and her employees have graciously hosted us for ten years! The plaque (left) we gave Kids Ink to thank them for their service. My wife standing between Lisanne Pierson, Indiana Junior Classical Co-Chair, and me (right). Melissa is a Latin teacher at The Master's Study. What does Latin sound like? Listen as these students read Vergil's Aeneid in the original language. And what did it look like to promote this project in the age of social media? Check out our promotional videos, including one that sees me getting pied in the face by my students! When all was said and done, North Central Latin students had helped raise $12,455.34 to help fight poverty in their city, which was even more than our giant check indicated thanks to additional donations. Some of our club officers as well as Indiana Junior Classical League state officers who attend North Central presented the check to Steve DeBuhr and the good people at Shepherd Community Center on the last day of school, May 24, 2018. My series of posts on Sam Rocha's A Primer For Philosophy & Education compiled into one post.